When you think about life insurance, you often think of the benefit your family receives if you pass away. However, life insurance covers far more risks than death. Disability is actually a greater risk than death for the average, healthy, middle aged Canadian adult. According to MoneySense, nearly 1 in 6 Canadians, before they turn 50, will experience a disability that disrupts their income for three months or longer. Disability insurance is very important for anyone who relies on the income they earn. Is it possible to get disability insurance if you have a pre-existing health condition? The answer is yes! Let’s learn how disability insurance works, and then explore no medical disability life insurance. Disability insurance replaces between 60-80 per cent of your income should you become disabled as described in your policy. Different polices have different descriptions of what constitutes a disability. There are two types of disability payments: short-term, which typically covers you for up to six months, and long-term, which typically covers you for two years. Depending on the policy and other conditions some long-term disability policies may cover many more years, or up to age 65. You cannot simply ask for a fixed amount of a disability payment. The coverage is calculated by the underwriter and based on your job classification. You also cannot stack policies. This means you cannot have disability coverage through several insurers and then “earn” an “income” in payments that exceeds your employment income. 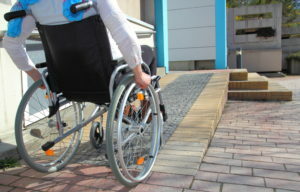 Since disability insurance is designed to help individuals that have an income interruption due to an accident or illness while giving them an incentive to return to work or train for another career (where the disability will not be an impediment), it will only cover between 60-70 per cent of your income in most cases, and around 80 per cent for a few select job classifications. Disability insurance is commonly offered through employee benefits but be careful. These plans often pay out just around 60 per cent of your income and cap at a two-year timeframe. If that will not be enough to cover your household’s expenses, you can buy an individual policy to help raise the coverage to the maximum allowed under your job classification. Do not assume you can simply rely on government-sponsored disability benefits. Canada Pension Plan (CPP) and Quebec Pension Plan (QPP) do provide some disability coverage, but it is very difficult to satisfy the definition of a disability under these plans. 1. What is No Medical Disability Insurance? Insurance carriers are increasingly coming up with ways to help older clients, and/or clients with pre-existing health conditions get the coverage they need. No medical insurance exam disability insurance is one of these innovations. No medical disability insurance is a policy you can get without having a medical exam. That means, if you suffer e.g. from diabetes, high blood pressure, obesity, or a heart condition, it won’t matter for many providers (please note, that it would depend in some cases on a medical questionnaire). You can though skip the medical tests! No medical disability insurance falls under two categories: simplified issue and guaranteed issue. Simplified Issue Disability Insurance has some health and lifestyle questions on the application but no medical exam. Guaranteed Issue Disability Insurance has no health and lifestyle questions, and no medical exam. You simply cannot be turned down for this type of policy, although guaranteed issue is limited in the amount of coverage you are eligible to receive, and often has a shorter benefit period (length of coverage) as well. The biggest pro of no medical exam disability insurance is having coverage! With the average Canadian carrying $22,800 in debt not including a mortgage, most Canadians cannot afford to be without a regular income. This problem is compounded by the fact that economic conditions and debt are making it very hard for Canadians to save money. With many Canadians already heading to retirement without any savings, the thought of months or years without an income is even more dire. Another pro is that no medical disability insurance is faster to obtain than fully underwritten insurance. If you need coverage in a hurry for a new job or simply do not like going to the doctor, no medical is an attractive option. The downside of no medical disability insurance is the fact that it cost more than fully underwritten, traditional insurance. That is similar to no medical life insurance that is more expensive than traditional life insurance (also called standard life insurance). The more risk an underwriter has to assume, the higher the premium. While insurance with a medical exam is the cheapest option, simplified issue costs a little more, and guaranteed issue costs the most. This is because insurers can only pay out claims by balancing the cost of premiums against an individual’s risk factors. Therefore, the more information they know about your risks, the better they can calculate your premiums. With no medical disability insurance, the lack of medical information provided “assumes” you are in a higher risk category. It is very important to note, however, that having some disability coverage is far better than having none at all. Having a policy always outweighs the consequences of going without. Disability insurance is very nuanced. Whether you want fully underwritten or no medical disability insurance, it is best to speak with a broker. Brokers, as opposed to agents, can sell the policies of multiple life insurance companies in Canada, so they know which ones have the most stringent qualification criteria, how the job classifications are ranked, what the coverage periods are, and what’s on the simplified questionnaire. Complete a form on the left and one of our expert brokers will quickly and efficiently match you with the policy that best suits your needs.